To mere puny humans, the weather of late has made no sense. One Sunday morning you’re sitting on a bucket down-cellar, blasting hot air on a block wall to thaw the pipe from the well, which froze because it was twenty-frickin’ below zero outside, and the next there are robins in puddles in the dooryard. The maple trees, however, seem to be fine with things as they are and the first run of sap in this neck of the woods has dribbled forth. 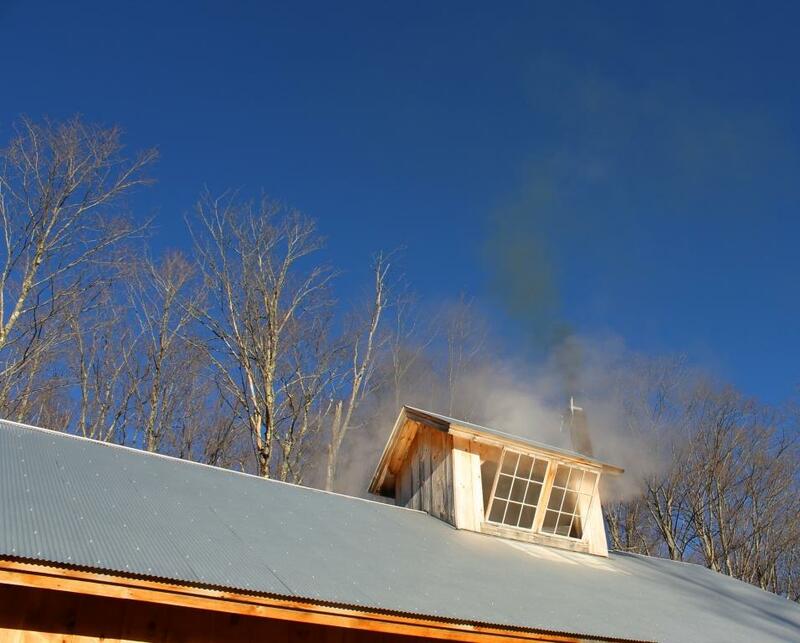 With the last of more than 2,000 trees tapped just the other day, the collection tank filled and today the arch was fired up for the first boil of the season at Bobo’s Mountain Sugar. 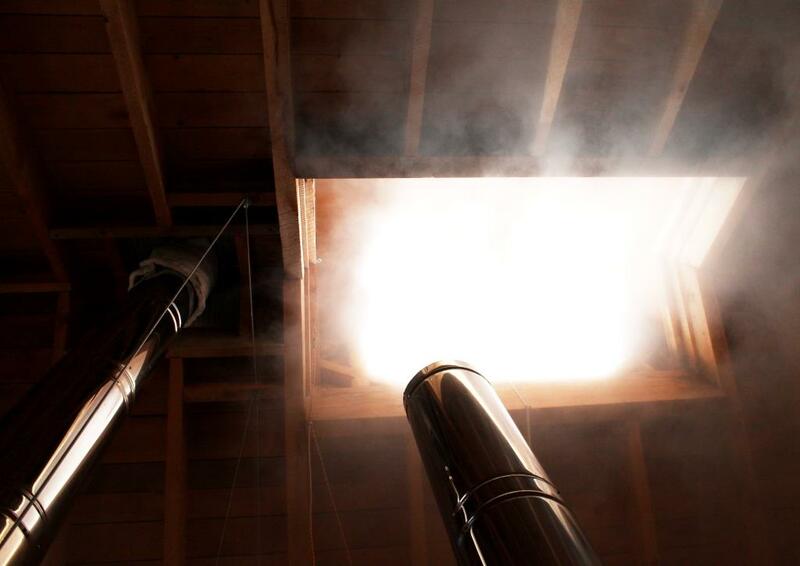 When cold sap first warms enough to give off steam, the reaction to that smell is primal, like to the call of a loon or peepers on a warm May night. Intimately familiar in a distant, foggy way. 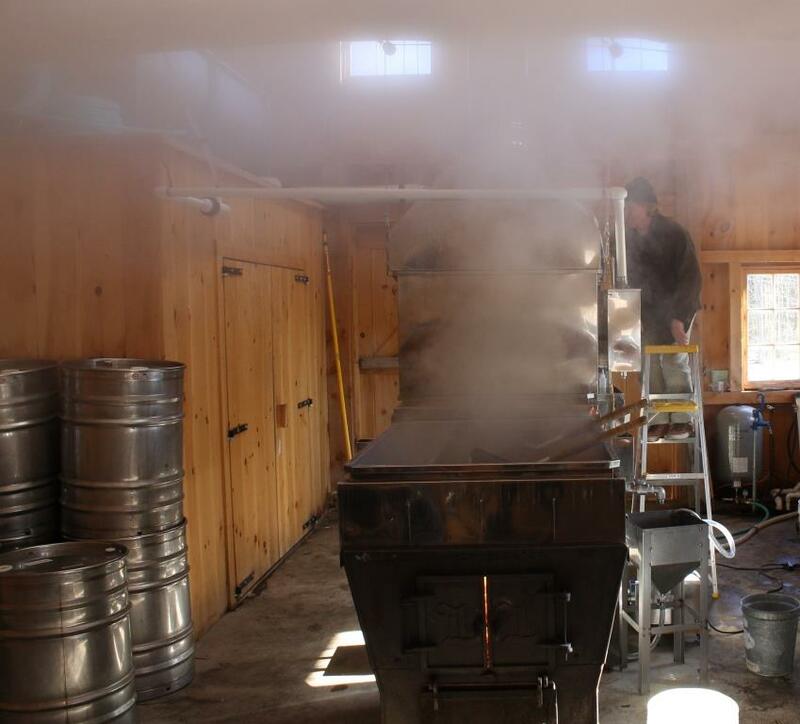 Wine and cider have vocabularies to describe their aromas or bouquets and I’m sure there must be one for maple syrup. If there is, it speaks of earth and rock, rain, snow, sun and ice. With vanilla overtones and a wet wood finish. The magic happens at 219°F (103.88°C), which requires a considerable fire. 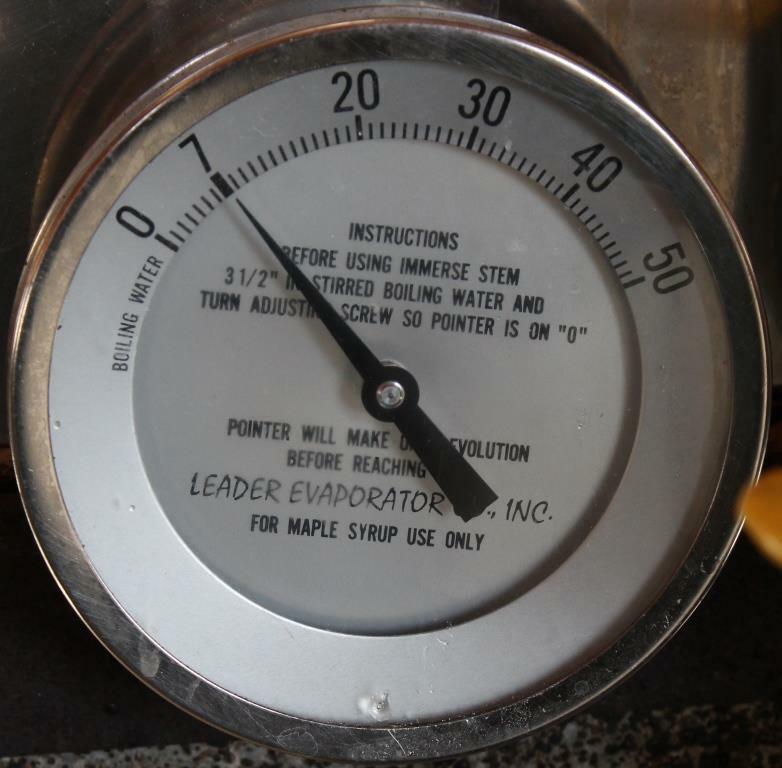 It also requires a special thermometer, calibrated to boiling water at zero, syrup at seven, but notice it is only for maple syrup, nothing else. Even after that bit of hocus-pocus the specific gravity must be measured, just to be sure, and when all that science and gut instinct coincide, the sap has become syrup. 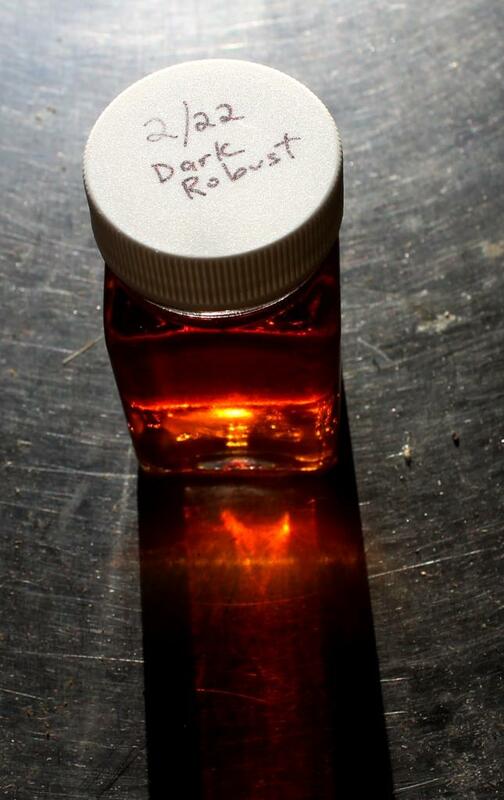 Those who make syrup take what the trees give them and once again the first batch of syrup at Bobo’s is dark and luxurious, hot and robust. Robins in the dooryard don’t by themselves mean it’s spring and river ice can break up any old time but the balance has tipped. The sun is stronger and the sap is running for a few days at least and something’s in the air. The smell of wood smoke and earth and rock, rain, snow and ice with vanilla overtones and a definite taste of trees. It is a documented fact that maple syrup reduces Quill Gordon’s urge to kick people in yoga pants (them, not Quill). It’s benefits are many. 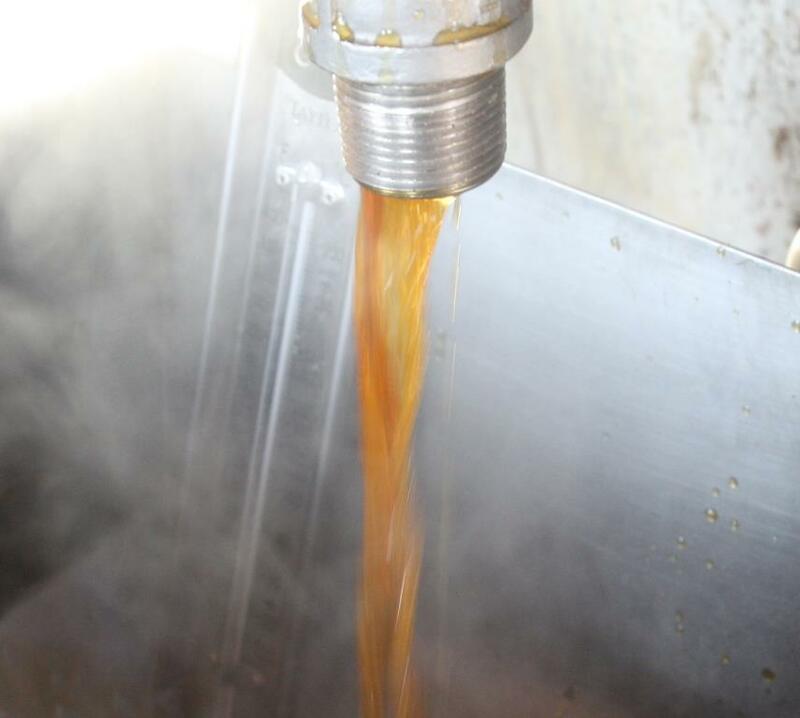 We here at The View from Fish in a Barrel Pond are also big fans of Sugar Bob’s Finest Kind Smoked Maple Syrup. Sugar Bob taps trees up the hill from here and hauls the sap to his place for boiling. His rig is a sight to behold, pulling a tank of sap on a trailer through the mud that passes for our road, and we hope to get some pictures this year. 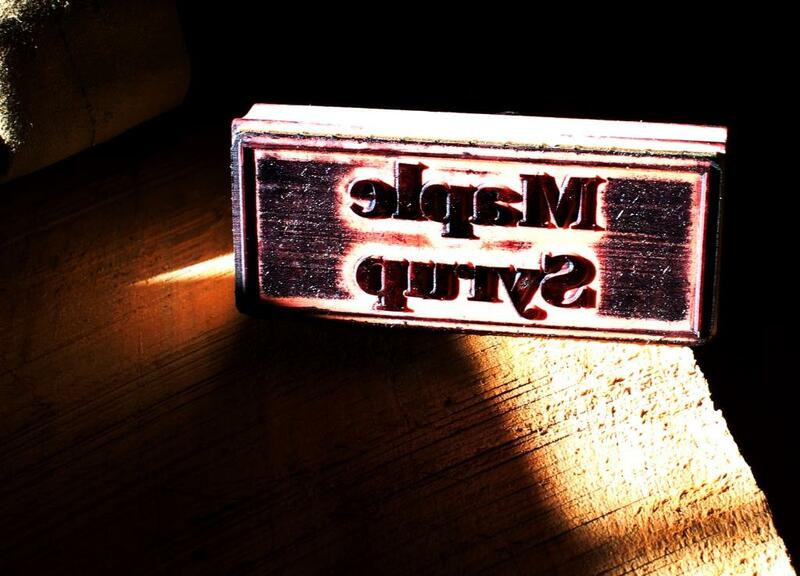 A visit to Sugar Bob’s is a real treat. There is no way winter is done with us yet but at least with warm syrup flowing the ride will be a lot more tolerable.